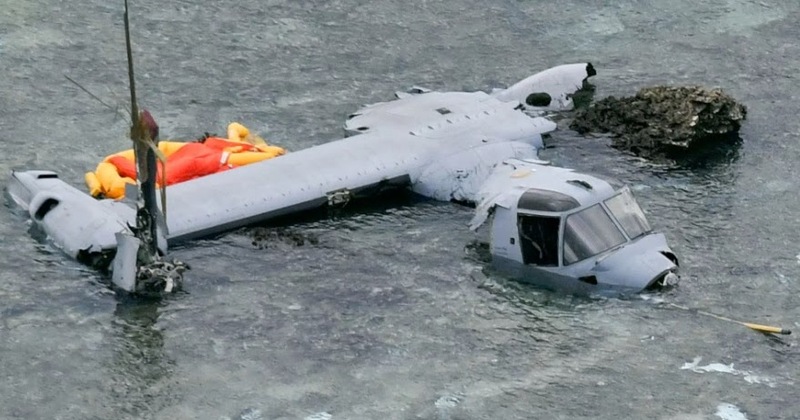 Seven US service members died in four noncombat-related air crashes in just four days, prompting concern over readiness in the US military. The chairman of the House Armed Services Committee, Mac Thornberry, R-Texas, released a statement Saturday saying the "readiness of the military is at a crisis point." The incidents coincided with President Donald Trump's decision to deploy up to four thousand National Guard troops to several Southwestern states. The Pentagon has been working with state and federal agencies on the logistics to execute the President's stated goal. However, with few specifics coming from the administration, defense officials have been left to grapple with questions on how the military plans to balance its priorities -- a challenge that is only amplified by the fact that 16 US service members have been killed in noncombat aircraft crashes in recent weeks. "Last month Congress voted to provide our troops the funds they need to begin turning this crisis around," Thornberry said in his statement. "That vote involved painful choices, but Congress was right to make it and the President was right to sign it into law. Given the urgency and importance of this issue, there can be no higher priority for the Department of Defense than ensuring that our aircraft are safe and that pilots get the training they need. Nothing should divert us from that mission." On Thursday, a day after Trump ordered National Guard troops to the border, Pentagon spokesperson Dana White discussed the readiness issue. "Border security is national security, and we are leaning forward to support the President and his intent and his goals," White said. "But readiness remains our top priority." "The secretary believes that this needs to be the most lethal force in the world. ... So, yes, I can assure you that our resources will still be dedicated to ensuring that our war fighters get what they need when they need it," she said. The US military maintains that it is not experiencing an aviation "crisis" despite a string of noncombat incidents that have killed 16 service members since mid-March, but lawmakers on both sides of the aisle warn that the recent spate of deadly mishaps is part of a disturbing trend that has been building for years. Three of last week's incidents occurred on Tuesday and involved Marine Corps aircraft -- including a CH-53 helicopter that crashed near Naval Air Facility El Centro in California and killed four crew members. An Air Force Thunderbirds pilot was also killed when his F-16 jet crashed at Nellis Air Force Base in Nevada on Wednesday. Two soldiers were killed in an Army AH-64E Apache helicopter crash at the local training area of their base in Fort Campbell, Kentucky, Friday night. Two deadly noncombat aircraft incidents also occurred last month: Two Navy pilots were killed in a crash off of Key West and seven service members were killed in a chopper crash in Iraq. When asked if the recent incidents indicate a crisis, Joint Staff Director Lt. Gen. Kenneth McKenzie said Thursday that he is not prepared to characterize the mishaps as evidence of a "wave" or "crisis." But McKenzie acknowledged that any deadly incident is "not normal" and each crash will be thoroughly investigated. "We look for causality," he said. "Was it a single incident? Was it systemic? Is it related to something we're doing across the entire fleet ... or something in the training of the aviators that are flying the platforms? Or is it a maintenance issue?" "We work very hard to uncover all those things, to look both individually at each accident, each mishap, as well as linkages between the two," he added. You know what frustrates me so much with current (and recent) military leadership? It seems like they've lost the ability to move with a sense of purpose. They lack speed and intensity even when US service men are dying. It's obvious to all that something is wrong here but instead of acting quickly, instead of getting ahead of the curve on this thing, they've instead "adopted a business approach" and are acting like this is a PR crisis instead. Am I impressed by Thornberry? The guy is a defense hawk and his number one goal in life (apparently) is to throw as much money at the military instead of demanding transparency in spending, a focus on achievable missions and making sure that our guys aren't stretched from here to yonder protecting other countries. Last but not least I'm not impressed by the reporting. Did you notice how they tried to turn this story into a "Trump is wearing out the military by positioning National Guard troops on the border"? The response from the military is less than stellar, the response from a "top" law maker is less than impressive and the reporting is downright pathetic. Expect more planes to drop out the sky while the military tries to do too much with too little while spending a gawd awful amount of money at the same time.